Home Cricket Analysis The Big Test, What did India Win? The first Test match (or ‘The Big Test’) between India and England ended in a draw. Both sides were saved and then saved again by unusual heroes with the bat. The Test match sure did end in a draw, but there’s a lot that adds up to make it a win-win situation for India. The first Test match at Trent Bridge provided the visitors with a lot of positives which were missing in the previous tour. India was whitewashed (5-0) by an invincible English side right after India’s 2011 World Cup glory. But this is 2014, and there’s loads of fresh energy in the Indian cricket camp. Yes India was in the driver’s seat and respect must be given to Anderson and Root for their historical partnership which saved their team from yet another defeat. 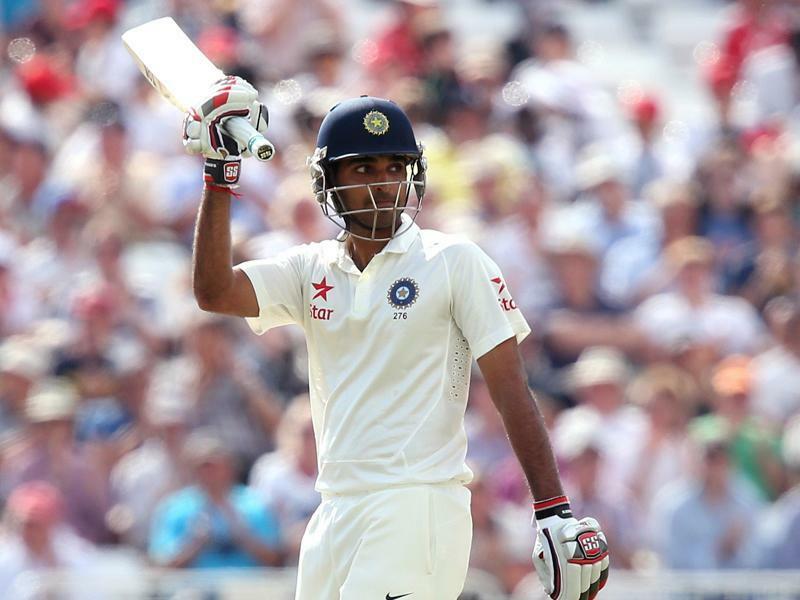 When Bhuvneshwar sent Plunkett back to the pavilion, the England scorecard read: 298/9. The Indian team was in for a treat. Victory was closer than ever before. But then came Anderson and he joined Joe Root at the crease to set up a record 198 run partnership. The two ensured that England took lead in the first innings. India almost collapsed in the second innings literally gifting the match to England. But the men in blue were yet again saved by an unusual pack of heroes. It was mainly Binny’s 78 and Bhuvi’s 63 not out which saved team India from ending up in a difficult position despite of having performed so well. THE BIG TEST- WHAT DID INDIA WIN? 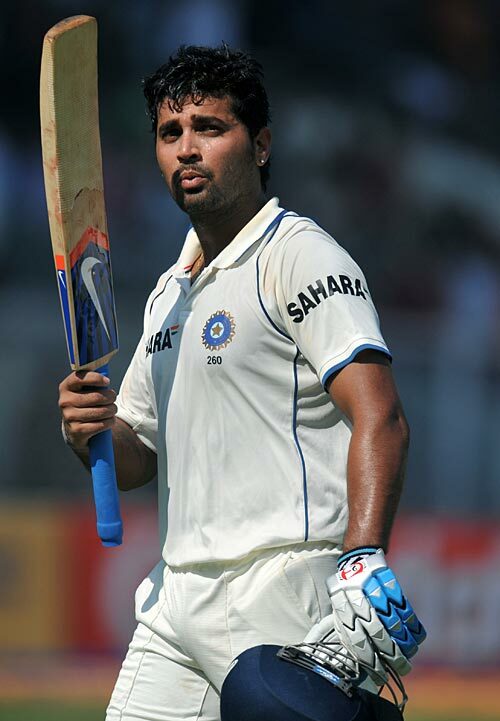 Murali Vijay faced a total of 480 deliveries scoring 198 runs in the Test match. He knocked up a fine hundred in the first innings and backed it up with a reliable half century in the second innings. Positives? He spent a lot of time out there in the middle in both the innings and saved the middle order from being exposed to a shiny new ball. If he can continue his form, India’s new ball woes may soon be gone. 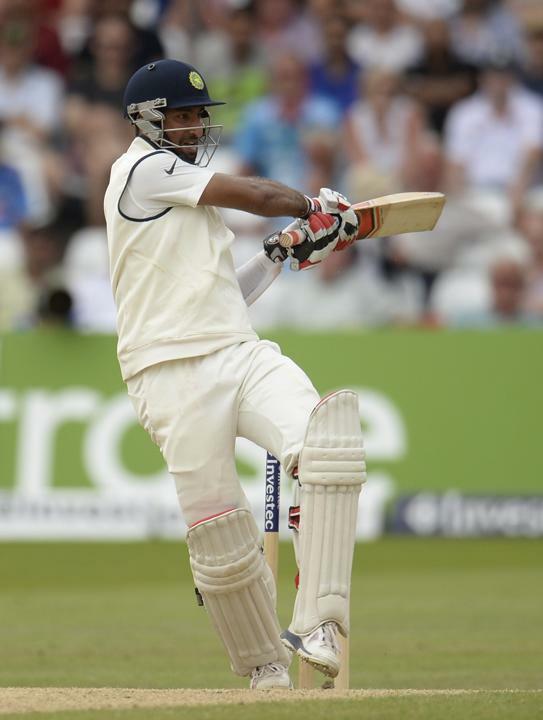 Although I would love to see Murali Vijay open with Gambhir instead of Dhawan at Lord’s. India can use some experience going into the second Test. Bhuvneshwar Kumar batted responsibly and scored fifties in both the innings. While most experts would profess the thought that it is way too early to label Bhuvi as a dependable all-rounder, I figure he has done enough in the first Test to earn that tag. There are a number of factors which prove that Bhuvi has the natural inclination towards batting which most dependable batsmen carry. He batted with eases, grace, and comfort during The Big Test. During his innings at The Big Test, Bhuvi did not bat like a tail ender. His stance, front foot, back foot, and occasional charging down the pitch were similar to most orthodox Test cricket batsmen. Yes there were a few chinks in the armor but those edges will be polished over time. Also, Bhuvi rotated the strike and protected Shami initially. Only the wisest of batsmen take to this method of batting with tail-end batsmen. Bhuvi’s strike rate was again very impressive. We don’t need batsmen who will score quickly and lose their wicket out of impatience. We need batsmen who can hang around. 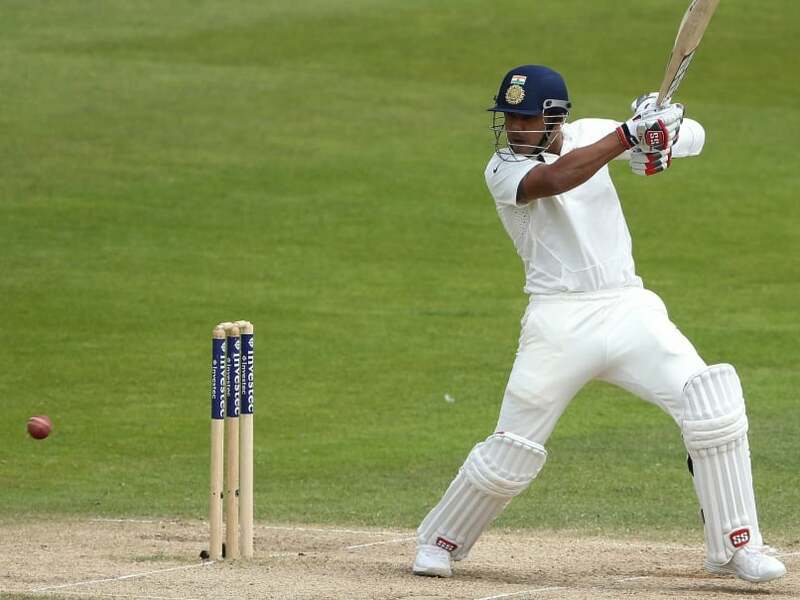 Bhuvi played 133 balls before he reached his half century in the first innings. He faced a total of 287 deliveries and scored 121 runs in both the innings. He showed more character and commitment than most top order batsmen from both sides. The Big Test brought out the best in Bhuvi. If he is smartly adjusted in the middle order, it will give India a lot of stability towards the end of their innings. No more collapses it seems! Quite clearly, Bhuvi was the Man of the Match having saved India three times. He did that once with the ball and twice with the bat. It’s strange that Anderson was chosen ahead of Bhuvneshwar at The Big Test. Stuart Binny is a reliable all-rounder who has worked hard on his game and it was about time that the rest of India got to see him in action. So Binny made his debut at The Big Test as an all-rounder. However Dhoni failed to use him properly. Contrary to MSD’s press statement, the pitch would have helped Binny create pressure and scoop out wickets. It was a failure on Dhoni’s part. But we all saw what Binny did with the bat. He stayed there for a very long time showing incredible character and patience. And when the time came, he launched himself at the bowlers thereby indicating that he can be destructive too. He smashed an entertaining 78 with 8 boundaries and one sweet looking six. Binny will be the game changer in this series. If only Dhoni trusted him more. Lord’s will be Binny’s backyard. We all celebrated Ishant Sharma’s heroics in Australia when he made Ponting his bunny. Ishant was labelled as the replacement for senior fast bowler Zaheer Khan who served the country for more than a decade. However, Ishant failed to shell out consistent performances, and was in and out of the team for quite some time. But Trent Bridge saw the rebirth of Ishant. The big man performed during The Big Test. 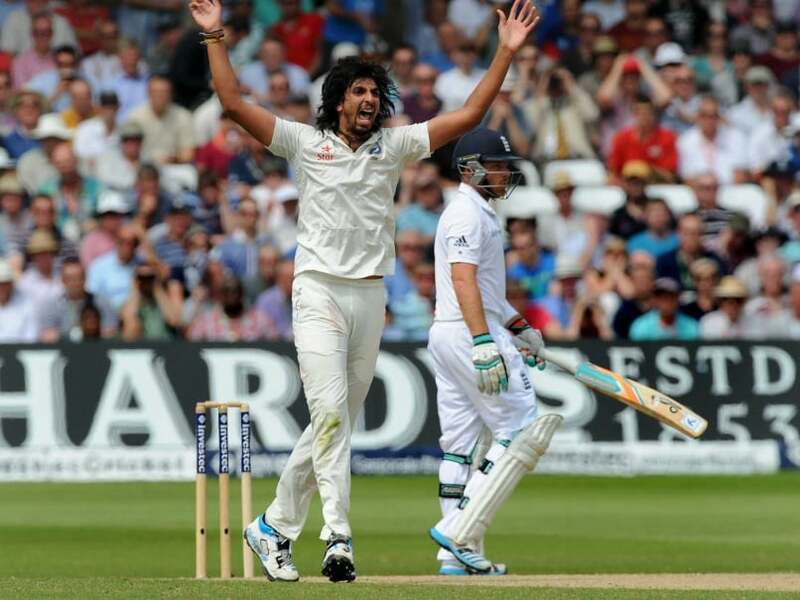 Ishant Sharma was able to bring the ball back into the batsmen and took three crucial wickets to put the English team under immense pressure. Ishant appears to have found lost glory. He bowled in the right areas and his figures don’t do any justice to his bowling performance. He bowled much better than that and Lord’s will award him if he continues to bowl in the right areas. So much has already been written and said about Pujara that anything I put down here will only be a repetition of this man’s brilliance with the bat. He made his presence felt at The Big Test with a convincing half century in the second innings. More than anything else, it is his character which scares the bowlers. Pujara can weather the storm no matter what. He can be the shock absorber on almost any pitch. He came in at a crucial time in both the innings and settled down nerves thereby avoiding another dismissal. Like Murali Vijay, even Pujara can tame the new ball. We will always miss Dravid but it is nice to know that Pujara is a part of this squad which means India cannot be bundled out cheaply. He is our resistance against any kind of an attack. His understanding of the game will only increase with time. I won’t be surprised if he knocks up a double hundred during this series.